Senior American Senator Lindsey Graham of Republican Party has said in a TV Interview to NBC on Sunday that US must make a plan to permanently keep its Soldiers in Afghanistan. He said America has Air Bases in many countries of the World so we should also permanently keep Air Bases in Afghanistan which will greatly help Afghan Security Forces against Taliban and it will also help to pressurize Pakistan. Lindsey Graham has given this statement at a time when America is planning to start Troops withdrawal from Afghanistan in July 2011. 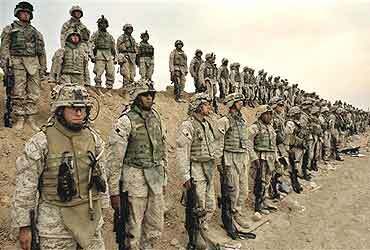 Most of American Citizens are also against the long Afghan War now and wants US forces to comeback home.